As a top accessories installer in the Portland Oregon area, NW Running Boards stocks accessories in our Portland warehouse. Located at 10325 SE HWY 212 in Clackamas Oregon NW Running Boards takes pride in its knowledgeable and dedicated accessories team, so stop by or call us to find an assortment of auto accessories for your new or pre-owned vehicle. We are happy to help you accessorize your car, truck, or SUV. If visiting NW Running Boards in person doesn’t fit your busy schedule, then complete our online accessories request form and auto accessories specialist will contact you to confirm your request. 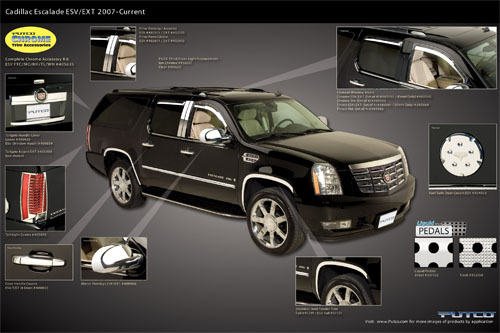 NW Running Boards is an excellent source for car and SUV accessories. Stop by or call us to find an assortment of auto accessories for your new or pre-owned Lincoln. We are happy to help you accessorize your car, truck, or SUV. 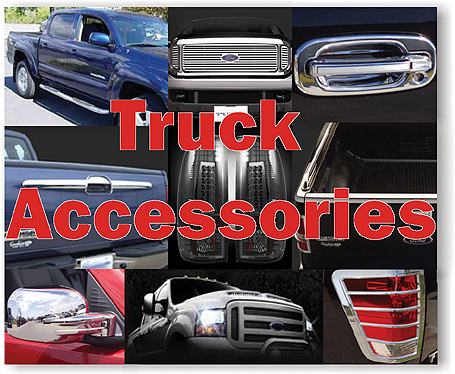 For that extra “BLING” for your Car, Truck or SUV , you have found the right place to get it. We offer a wide selection of Stainless and chrome auto accessories to add that little extra style for your vehicle. We have everything from door handle covers and tail gate handle covers, to wheel well trim and fuel door covers. Stop by our showroom and check us out.